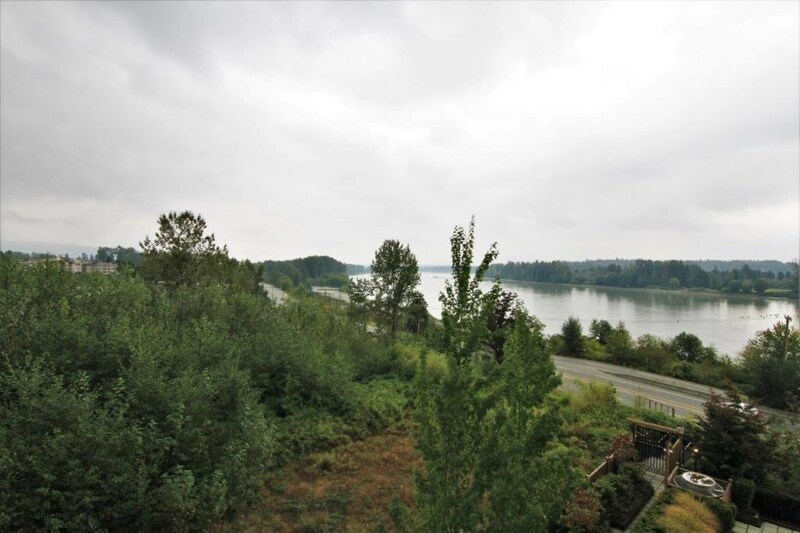 "PRIVATE TOP FLOOR LUXURY unit with AMAZING RIVER and MOUNTAIN VIEWS! Conveniently located in the heart of Maple Ridge. Just a short walk to town center, river front, parks, recreation and steps away from the west coast express. Open concept with kitchen/dining/living room with access to your private balcony. A 35 unit building with spectacular finishing throughout with large windows, crown moldings, granite counters and 14' vaulted ceilings just to name a few. Features include a rooftop bbq/patio with 360 degree water and mountain views, rec room, 1 underground parking space and storage locker. Quick possession possible! GREAT TO OWN OR FOR INVESTMENT! OPEN HOUSE SATURDAY APRIL 20th 2pm-4pm"